You are here: Home / Community Outreach / “Lagoon Time” Book is Now Available! “Lagoon Time” Book is Now Available! 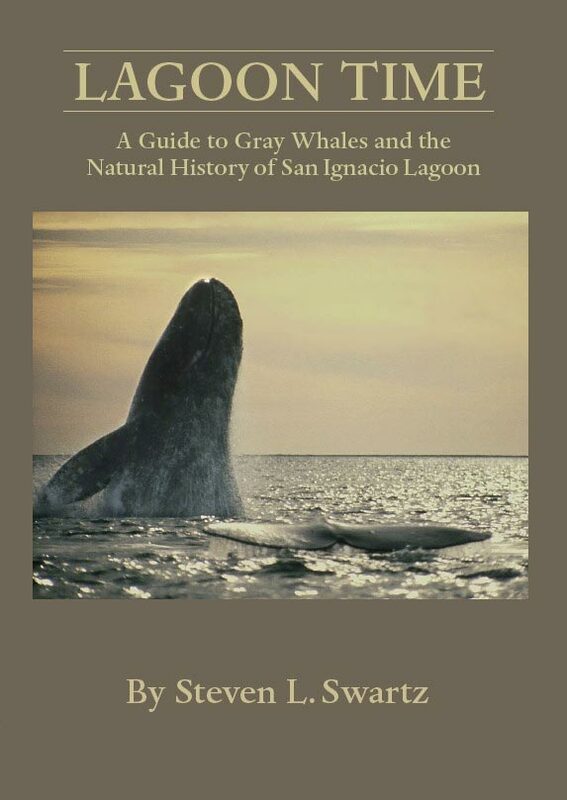 “Lagoon Time” provides visitor and adventure traveler an accurate look into the human and natural history of San Ignacio Lagoon, as well as a handy field guide to gray whale behavior and the diverse botanical, mammal, and avian wildlife in the area. “Lagoon Time” is a popular, first-hand account of the experiences and discoveries made by Mary Lou Jones, Steven Swartz and their colleagues during their initial study of gray whales wintering in Laguna San Ignacio between 1977 and 1982. Their initial studies were the first systematic research on gray whales that utilize the lagoon as a winter aggregation and breeding area, and contributed to the establishment by the Mexican government of a unique marine reserve for gray whales and other marine wildlife. “Lagoon Time” also includes a history of 19th century whalers that exploited the whales in their breeding lagoons, the bio-geography of the lagoon and its flora and fauna, international conservation efforts in the 1990’s that halted the development of an industrial salt production facility within the lagoon, the establishment of sustained eco-tourism industry by the local community to ensure that this unique marine ecosystem will survive the inevitable tide of development, and the resurgence of an ongoing science based research and monitoring program to provide information on the biological and ecological health of the lagoon ecosystem. Guides to the common mammals, birds, and plants found at the lagoon are included in this comprehensive publication. The proceeds from the sales of “Lagoon Time” provide on-going financial support for the research and conservation efforts of the Laguna San Ignacio Ecosystem Science Program, A Project of the Ocean Foundation.